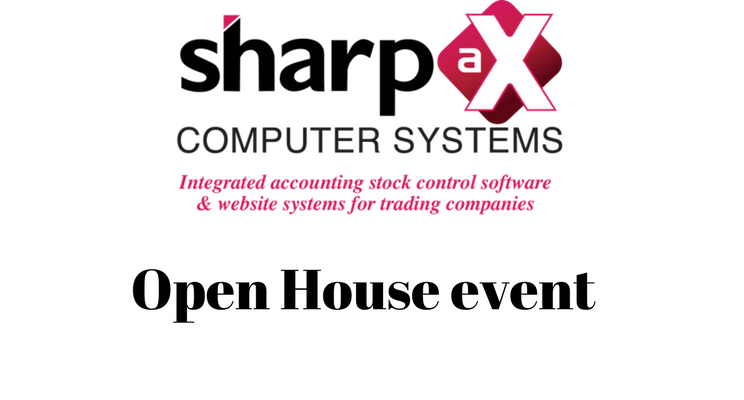 Sharp-aX Computer Systems is holding an Open House event on Wednesday 27th September 2017 – 10am until 4pm. See how the Sharp-aX software can help save time, speed up sales entry, margin watch, haggle and search customer history to give instant access to who is buying what or not. Orders transferred into the Sharp-aX system from the website automatically. Seamless data access from your Sharp-aX system, simply tick products that you wish to appear on your website. See everything you need in one system – continuous demonstrations throughout the day. Hear about new Sharp-aX software modules & features, tech tips and shortcuts. Meet the Support, Consultancy & Development Teams – How Can we Help? The event will be held at Sharp-aX Computer Systems Limited, R&R House, Northbridge Road, Berkhamsted HP4 1EH. Tel: 01442 550 950.